Rev. 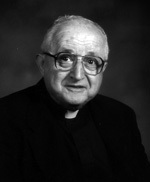 Charles L. Maranto, CSV, died Friday, March 18, 2011 at 7:10 a.m. Father Maranto had been in hospice care for almost one month at Addolorata Villa Nursing Home in Wheeling, IL. He was 88 years old. Father Maranto was born in Chicago on July 24, 1922, the son of Joseph and Mary Maranto. He was preceded in death by his parents. His brother Vincent and his sister Mrs. Sally (the late Thomas) Monsier survive him, as well as three nieces, Cynthia Handrup, Denise Lynch and Claudette Monsier. Father Maranto pronounced his first vows on January 25, 1943 and his final vows on January 25, 1946. He was ordained to the priesthood on March 25, 1950 in Joliet, IL by Bishop McNamara. A graduate of St. Mel High School in Chicago, Father Maranto received his BA degree from St. Ambrose College in Davenport, IA and his MA degree from Loyola University Chicago. Both degrees are in Latin. He taught Latin, Math and Religion at Cathedral Boys/Griffin High School in Springfield, IL from 1950 to 1964, Saint Viator High School in Arlington Heights, IL from 1964 to 1968, and Bishop McNamara High School in Kankakee, IL from 1968 to 1970. 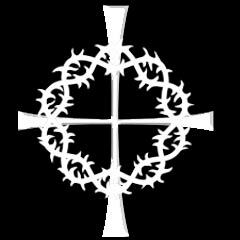 He was Associate Pastor at Maternity BVM in Bourbonnais, IL from 1970 to 1973. While he served as Associate Pastor at St. Joseph Parish in Springfield from 1973 to 1976, he was also Chaplain at Memorial Medical Center. After that, he began his longest assignment as Chaplain at St. John’s Hospital in Springfield from 1976 until his retirement to the province center in 1992. 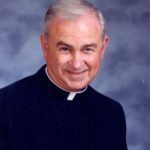 While at the province center he served at many of the parishes and nursing homes in the Arlington Heights area. Visitation for Fr. Maranto was held in the chapel at the Viatorian Province Center in Arlington Heights from 9:30 a.m. to 11:00 a.m. on Monday, March 21, 2011. A Mass of Christian Burial immediately followed. Interment was at the Viatorian plot at Queen of Heaven Cemetery in Hillside, IL. Please remember Fr. Maranto in your Masses and prayers.